Today was a long awaited day in my house; the LEGO Movie came out on Blu-Ray today! My boys and I had “three dudes time” to see this at the luxurious Grand Theater and were eager to watch it with Mommy. Tonight that dream came true. Let’s get one thing straight: This is a DAD movie. I knew this from seeing it in the theater, but the point was driven home again tonight…strongly, considering all I’ve gone through lately and the fact that Father’s Day was two days ago. With that in mind, I’d like to point out why this movie should have been released last Friday, in anticipation of Father’s Day, not today. There are spoilers here, so you’ve been warned to come back after you’ve seen the movie. 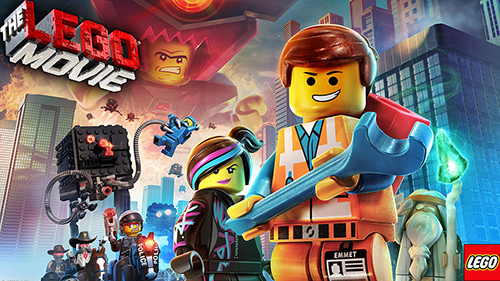 I was surprised when the film switched to live-action, but impressed how they bridged the happenings in the LEGO universe with the play of the young boy. Where the whole point of the movie gets driven home, however, is when the boy’s father appears. We conservatives are used to Hollywood movies having leftist agendas, so when the villain was named Lord Business many people automatically thought it was an indictment of capitalism. No, guys…it’s not. It’s an indictment of dads so wrapped up in work and order that they are no longer capable of playing with their little boys. I’m pretty sensitive about this subject, and I have been since I was a kid, so I caught on right away. So did the boy’s father, the instant he found the President Business figure. At an hour and twenty-eight minutes into the movie: denouement. The father gets a heart-wrenching lesson from his boy: it’s important to remember to play. 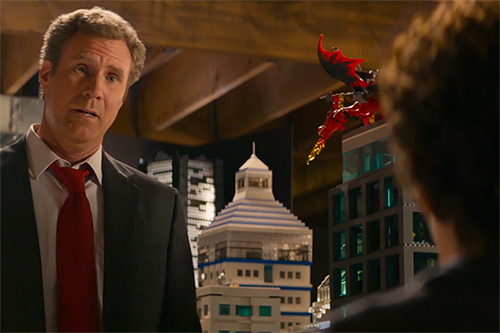 Realizing how he has figured into his little boy’s play world, Will Farrell’s character is convicted in his heart. The loving, contrite way in which he opens up to his boy is a perfect lesson every dad needs to see, and of which we should be reminded regularly. It’s so easy to get caught up in the structure of our lives and forget how to play. There’s always one more thing to be done, there are always demands at work and at home, and innumerable distractions try to worm their way in between a Daddy and his children. As one of my favorite Grasshopper Takeover songs says, “You can never get it back…you can only let it go.” That, my friends, is the real lesson behind the LEGO Movie, the sweet message that I think too many have completely missed, and the reason why I think it should be a Father’s Day staple from this day forward. This entry was posted in Expository, Family & Friends, Media by Clint. Bookmark the permalink.